1. Laundry -- My husband and I travel prepared to wash clothes by hand and plan on doing it with only four pairs of unmentionables and about as many mentionables. (We are usually only in any one place for three days, so no one knows we have only four outfits along.) But how nice to have the hostess offer to do our laundry! I often offer to let my guests do their laundry themselves, it depends on whether I think they'd be more comfortable doing it themselves or having me do it. UPDATE: As I post this we are in Japan on a Ministry trip. We were told to give our laundry to the hotel where they had put us up. Four shirts four pair of socks and corresponding unmentionables was $45! So thankful for the washing machine two stops later! 3. (Don't) Overfeed -- In many countries we go to they serve the plates already loaded with food. When I eat just a fraction of that, the hostess often expresses dismay, and maybe even hurt. When we travel for ministry, people are so kind and want to give us the best, and lots of it, but since we're over 50, the pounds go on too easily and being uncomfortably full isn't fun. So, for my sake, don't insist your guests eat more than they want. 4. 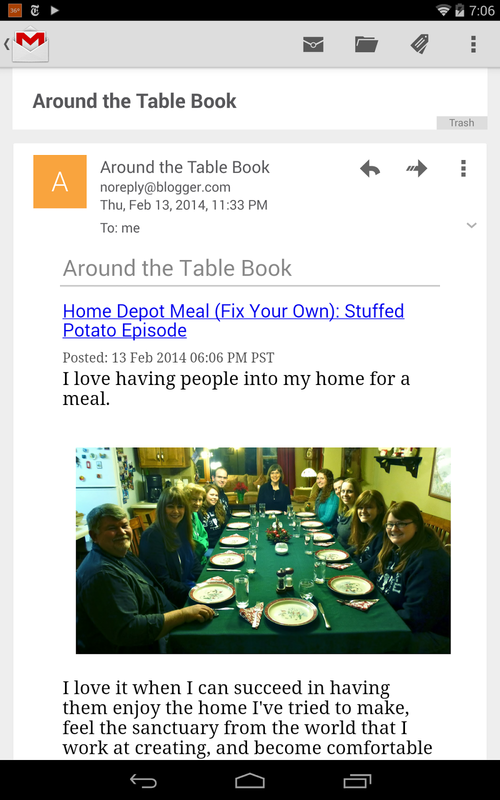 Offer Food -- (arrival) I'm beginning to sound like I'm contradicting myself! But when people arrive, be prepared to provide a light meal--perhaps a sandwich, a piece of fruit, or reheat something from dinner. If your guests flew into town, they may not have had anything to eat on the plane these days. Once my plane pulled back from the gate and then we were told we had to wait three hours to take off. No food on board. I was certainly happy for the cheese and crackers my hostess gave me! 5. Offer Food -- (departure) Last food of mention, I promise! Many of our guests, like us, are on a budget and are thrilled to take a sandwich and apple with them instead of paying airport or highway prices (or eating another fast food hamburger). I've had guests' faces light up when I offer to send a lunch. I know mine does, too, when that offer is made to me. 6. Tissues -- I cannot believe people can live without "Kleenex"! I'm a life-long allergy person and keep the tissue companies in business singlehandedly. We are often in homes where the hosts are blessed to not understand what an allergy is. I'm thrilled for them, but I also use all their toilet paper blowing my nose! Welcome your guests with an (unscented) box of tissues in their room and the bathroom. They might need it to clean a spill or stop a cut from bleeding, besides a drippy nose. 7. Nightlight -- Being able to maneuver around the furniture in a strange room in the dark is a job for Superman. Most of us are very grateful for a small light in our room, the hall, and the bathroom. 8. Clock -- Maybe this should have been nearer the top of the list, but a clock with a working alarm is a great help. When I wake up and it's dark, I'm one of those people who wants to know what time it is. The less I have to move and wake myself, the better, so a lit clock by my bed is wonderful. Plus, so often we have to leave at some horrendous hour (like 4 a.m.) and we like to each set an alarm to make sure at least one works. I guess we lived in countries where the power is likely to go out for too long. 9. Instructions -- Speaking of clocks, if you have any electronics in the room or even tricky windows that need special instructions, have them written up on a piece of paper and set on the desk or dresser. My husband and I are pretty computer savvy, but we are TV-challenged. At my mom's house the shower has a glass door and she has written instructions how to quickly squeegee and wipe it after a shower so it doesn't get grungy looking. Trust me, you'll all be happier if your guests know how things work! 10. Interests -- Would you rather spend an afternoon at the beach, the mall, or a museum? I have a friend who visited us from overseas and she wanted to spend it at the Goodwill store! Let your guests know what kind of activities are available near you, and ask them what they'd be interested in doing. We're big picnic and walk people. We love it when our hosts take us places where we can get exercise while taking in the local sights. 12. Your car -- Sometimes the easiest way to let guests do what they want is to hand them the car keys. We recently had guests from Brazil who wanted to do some shopping and were thrilled to be able to go all over town on their own, especially to that classy store: Walmart! We have wonderful friends who loaned us their car to drive from Austria to Slovakia, Poland, and the Czech Republic. A very interesting project with a GPS that only spoke German! But a blessing, too. 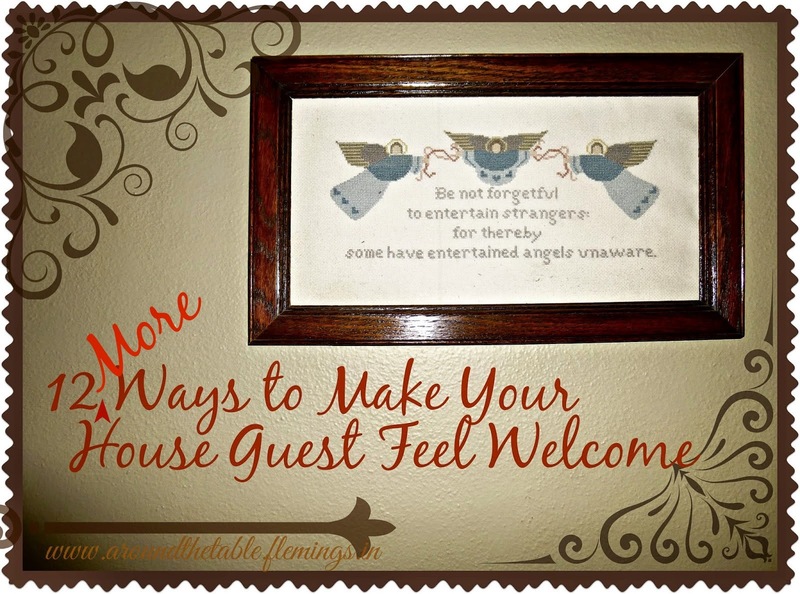 I hope you have wonderful guests and want them to come back again and that they feel welcome enough to come back. We have learned so much from our guests and made friends with people from all over the world by inviting them into our home to stay. I hope each one felt welcomed. This was wonderful! Like you I have been/had houseguests so many times. But I never though of packing them a picnic lunch or making sure there was tissues in their room! I have a friend coming in soon from overseas! I'll make sure she is well taken care of! Thanks. Glad I helped you think of some things. Hope I don't make it sound burdensome, just some ideas to help them know they are welcome in our home!